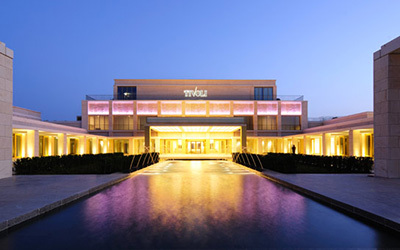 Located in Vilamoura, the Tivoli Victoria is pure sophistication. From the amazing rooms to the panoramic views out over the beautiful fairways of the Oceânico Victoria Golf Course, designed by the legendary Arnold Palmer, the surroundings of this 5 star resort make it an authentic 360º experience. For Conferences, events and meetings which require the highest quality, the facilities at the Tivoli Victoria include rooms with a total area of 900 m2 and capacity for up to 950 people as well as the latest in audio-visual technology. 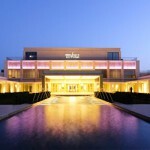 And for pure leisure, at this hotel near the beach in Vilamoura in the Algarve, take a dip in one of the 4 amazing swimming pools (one exclusively for adults - +16 years - from 1 July to 30 September) or sit down to some culinary delicacies prepared our chefs in one of our many restaurants and bars. For a touch of the Far East, revive your spirits by pampering yourself at the Elements Spa by Banyan Tree. 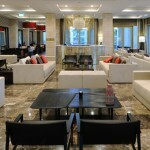 The Collection concept has been introduced with maximum glamour at the Tivoli Victoria. All rooms and suites are equipped with the latest technological innovations and combine sophisticated and elegant decoration with maximum comfort and where every detail has been carefully designed to surprise both through quality and standard.
. 3 Specially adapted Deluxe Twin Rooms for disabled guests. Much more than just good business, what the Tivoli Victoria Conference and Events Centre guarantees is a successful experience. You can count on the support and dedication of a team which is highly experienced in the organization, planning and staging of large-scale meetings and events. The Conference and Events Centre has 8 rooms which are fully equipped with latest generation technologies and decorated with contemporary Portuguese art by Gabriela Albergaria. The room walls are covered in “patterns” transmitting a close contact with nature in tones of green, a colour which acts as a link to the lush gardens immediately outside and the indoor event areas. We also have numerous different possibilities for weddings and receptions and can configure and adapt spaces to suit your needs and aims. The entrance is independent with its own reception area for groups and direct access for coaches. With the rich natural light in the foyer providing the perfect welcome, plus all of the abovementioned facilities and services, your event at the Tivoli Victoria will go exactly as planned: perfectly!